Would you like to better develop your techniques in identifying native plants as well as exotic weeds? 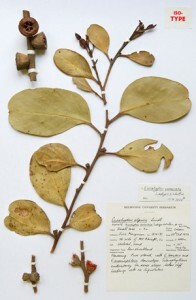 Well creating your own herbarium can be a great way to become familiar with the plants which are in your local area. Learn some simple techniques in creating your very own herbarium for your Landcare or Bushcare site or even in your own backyard. This workshop will highlight how to identify local native plants and how to keep records and samples. Lynne Kavanagh will walk you through the simple techniques to get you on your way to creating your own collection. You will be able to collect some species from the Bushcare site along Blue Divers Creek and come back and start your own herbarium! This workshop is FREE. Morning tea and all materials will be provided on the day.